I've finished Cripple Creek and have a few rough pics. I thought Cripple Creek would be easy but it wasn't. 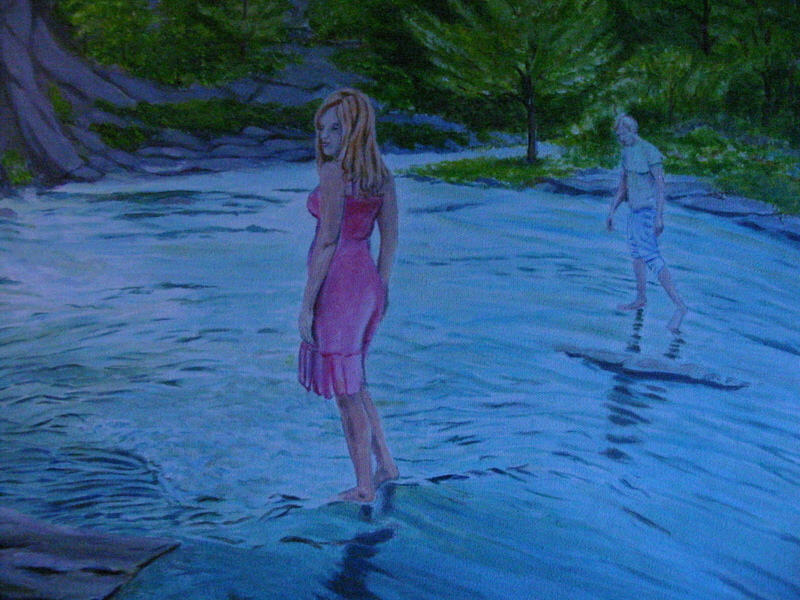 Painting the creek took some time and I wanted to have a banjo picker in the painting but not distract from the main scene so he ended up being part of the rock wall. 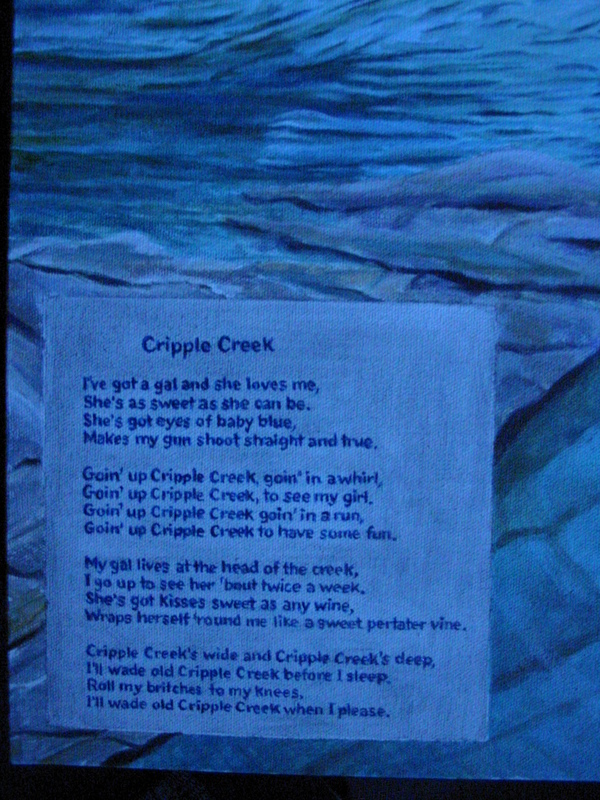 This is the main scene: "Goin' up to Cripple Creek Goin' in a whirl, goin' up to Cripple Creek to see my girl." 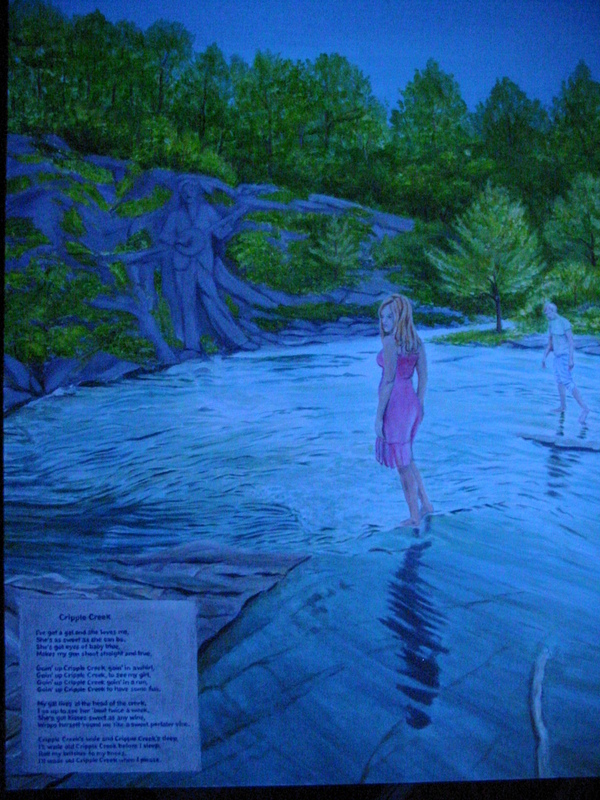 My camera had a blue tint to it but you can see the painting. The colors are poor with this camera. Note the man: "Roll my britches to my knees, wade ol' Cripple Creek when I please." Here's the whole painting. 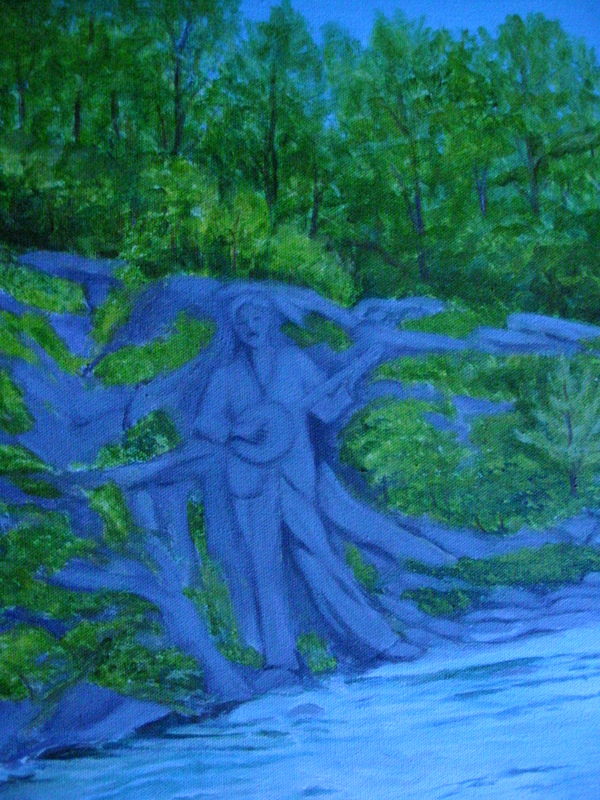 It's smaller than most of my other bluegrass paintings 24" by 30." Close-up of the banjo picker. This pic is taken from a picker in Louisville circa 1900. The perfect age for a song that dates certainly back to the 1800s.